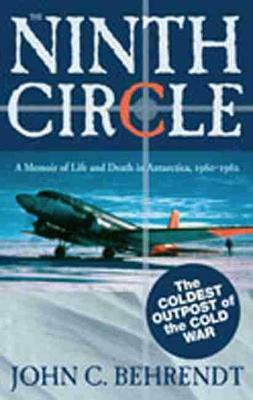 When John Behrendt went to Antarctica in the early 1960s as part of the United States Antarctic Research Program (USARP), the Cold War was at its height and research on the ice sheet was risky. The Antarctic air squadron VX6 had an accident rate eight times that of U.S. Naval aviation in other parts of the world, and graduate students and young scientists like Behrendt received hazard pay for their work. In John Behrendt's memoir we relive that era of scientific exploration. He describes two seasons on the ice in Operation Deep Freeze, leading field parties, conducting scientific research, and struggling against the elements. Behrendt led an over-snow geophysical-glaciological-geologic-geographic exploration party to the southern Antarctic Peninsula and to a mountain range that was eventually named for him in recognition of his work. Behrendt pioneered in aerogeophysical surveys over the Transantarctic Mountains and the West Antarctic Ice Sheet. In his reflections of the period from 1960 to 1962, he notes that time was closer to the eras of Ernest Schackleton (Endurance Voyage, 1914) and Robert F. Scott's and Roald Amundsen's treks to the South Pole (1911-12) than to the present. Readers who are fascinated with the twentieth-century frontier of our shrinking planet will relish his adventurous account. "This is quite a tale of the search for scientific knowledge." "This book would be a great addition to any Antarctic collection." "This story clearly documents how difficult it is to do scientific fieldwork in a challenging climate, and it shows how rewarding such work can be."